Roseanna studies amphibian conservation biology on Haida Gwaii; a remote set of islands off the coast of British Columbia, Canada. 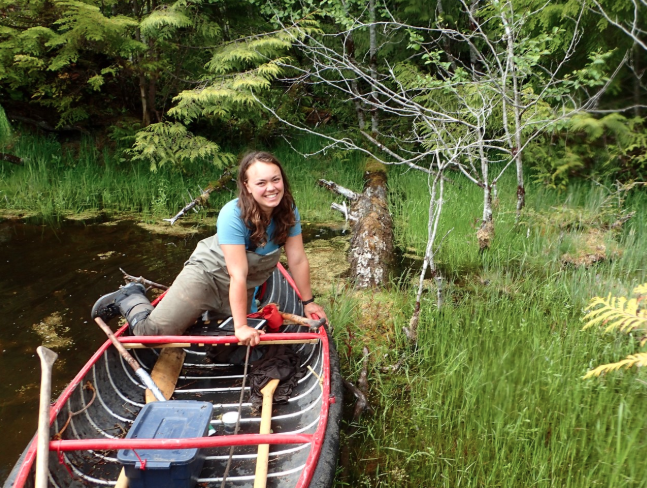 Her work involves tromping around in beautiful bogs, sea kayaking, canoeing and boating to remote and wild locations, tadpole experiments, and working with the local community to conserve the Western Toad (the only indigenous amphibian on Haida Gwaii). Roseanna is passionate about using science to help inform conservation management.